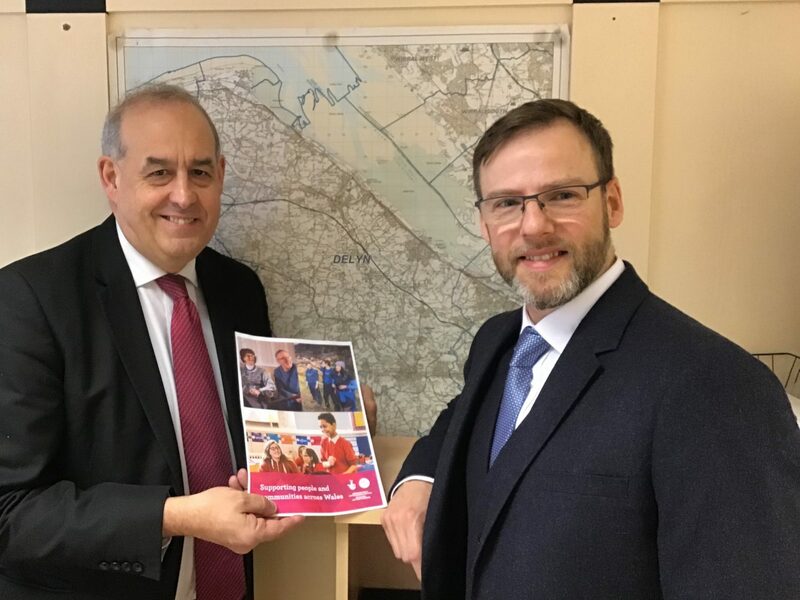 Today, I met with Andrew Brown, Funding Manager for The Big Lottery Fund, to discuss how the constituency has benefited from funding and what can be done to ensure more charities, community groups and local projects are aware of funding available. During the meeting, I learnt that since 03/01/2009 the Big Lottery Fund has awarded 210 projects the sum of £5,427,559.50 in the constituency. £3,289,553 was awarded in the last five years alone. Awarded £10,000 in September 2018 from the National Lottery Awards for a project called The Children’s Sleep Charity to run a series of workshops and a day event for disadvantaged families and children who are facing sleep issues within Flintshire. Successfully applied for a National Lottery Peoples and Places grant for a project Breaking the Cycle – Enabling Change in Families in May 2018. They succeeded in getting £499,712 to enhance existing provision, building resilience in vulnerable and disadvantaged families in Flintshire which enabled them to better cope with life’s challenges and become more involved in the local community, thus decreasing the feelings of isolation. The grant, over five years, will fund salaries, project running costs, overheads and management costs. They were awarded £70,168 for a project Wild About Mold in March 2018 to work with the community of Mold and surrounding areas. Activities will focus on skills development and greenspace improvement which will improve the skills and wellbeing of direct project beneficiaries, increase community cohesion, and increase the area of green space for everyone to use. Partner organisations will support adults with physical disabilities, people with mental health issues and young carers to take part in the running and delivery of the project. It was a pleasure to welcome the Big Lottery Fund to Flint to talk about how we can continue to work together to raise awareness of the funding available. I was pleased to see that over £5 million of funding has been spent by the Lottery in Delyn and I look forward to much more being invested in our towns and communities. I am always eager to help community groups, local charities and projects apply for funding and regularly write letters of support for their schemes. If you have a scheme that needs support from the Big Lottery Fund please do get in contact and I hope I can help. With towns being the biggest contributors to lottery funding it is only right that we get our fair share of the funding. I hope that the Big Lottery Fund will continue to work closely with decision makers in Flintshire so that we can secure a better future for our charities and local groups.